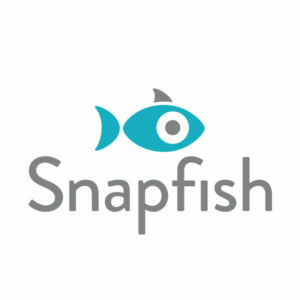 Snapfish UK is a leading online photo service. Our members can store, share and print their most precious photo memories at very competitive prices. Snapfish does not only offer professionally-developed prints and personalised photo gifts but also inspiring content, tips and ideas, regular offers, photo contests and so much more. Snapfish photo gifts, cards and prints are used by millions of people to celebrate the milestones in their personal and professional lives. We would like to invite you to test out our site and unleash your imagination! This Father’s Day we want to inspire our customers to create fun personalised gifts and cards for Dad. We believe that happy moments and exciting stories should be shared and cherished. What better way to relive your favourite moments with Dad than to prints your memories together on a photo panel for his desk, on a travel mug for him to use on the tube or even better in a gorgeous photo book fully personalised for Dad. Please let us know which products you would like to review and what your creative idea is. We’d appreciate it if would you tell us also what your blog is about and how big it is. We are looking for lifestyle and parenting bloggers, photography enthusiasts and professional photographers, arty bloggers with strong voice… anyone who has a good photo gift idea for Father’s Day. *In terms of numbers, we’d expect you have at least 6 months experience in blogging and at least 250 followers. The more, the better!